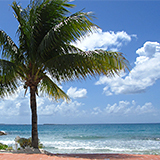 My wife, Freda and I first visited Anguilla on two occasions via a day cruise with Windjammer Barefoot Cruises. Each time we remarked that we HAD to come back and spend some time. A couple of years later I asked her if she was ready and her eyes lit up like a child at Xmas. She suggested we take our son, his wife and our three grandchildren ages 3, 9 and 10. Although I love all of them, my idea of a vacation is to relax and do what we want, (if anything at all), when we want and not having children ask what we are going to do today. As you can probably guess, she won. We decided to stay at Shoal Bay East at a modest place called Madeiraman's. It was not one of your finer places but served our purpose and the people were just great. We learned of Madeiraman's from one of our day trips. We arrived during a torrential downpour but after that the week was perfect and none of my fears were realized. There were no fussy children and not once did they ask what we would be doing that day. They were in paradise and they loved it. A local girl would visit our grandchildren and I taught them what little I knew about snorkeling. One day around 6:00 I decided it was time for them to eat and my wife suggested a place down the beach. She walked down to make sure they were still open. Unfortunately they were in the process of closing. It was owned by a local woman and she insisted that we all come down and she would stay open for us. After some discussion between my wife and her, we agreed and we were served an unbelievable meal on the beach while watching the sunset. The little girl who took a liking to our grandchildren was her daughter and they ate with us. I had the best baby back ribs I have ever tasted. I hope that they are still there when we return... and return we will. 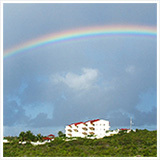 I could go on and on about Anguilla but it is better to live it yourself to truly appreciate it. if God created any place better, He kept it to himself. 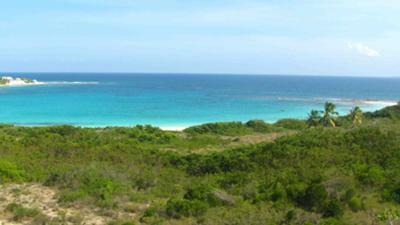 My grandchildren are constantly asking me... "Papa when can we go back to Anguilla" ?